From ceremony backdrops to centerpieces, Etsy is one of our favorite places to search for unique wedding décor. One thing you may not have thought to shop for on Etsy are your wedding invitation suites. Whether you’re looking for simply elegant typography, custom calligraphy, vintage-inspired botanical prints, or modern watercolor illustrations, there’s an Etsy designer for you. Because we love sharing our favorites, we’ve rounded up the 10 best Etsy shops for wedding invitation suites. However you envision your fairy tale wedding, The Fabled Papery will introduce your guests to the event with every bit of style and flair you can fit in an envelope. Shop owners Glen and Jessica, a talented husband and wife graphic design duo, create every piece of stationery to reflect the cherished romance of a wedding day. See more from The Fabled Papery! Got a destination wedding in your future? Announce the adventure with C’est La Vie Invitations, stationery created to highlight exciting locations around the world. Whether you’re headed to Scotland or Mexico, Palm Springs or Santorini, these wedding invitation suites sweeten the experience for your guests from the start! See more from C’est La Vie Invitations! Bohemian weddings known for being filled with an eclectic array of decor: florals, feathers, and patterned textiles. Luckily, Aquarela Stationery has it all in their collection of bohemian-inspired wedding suites. Bold colors and prints paired with wild floral arrangements make Aquarela Stationery‘s invites ideal for your wedding. See more from Aquarela Stationery! Botanical-inspired weddings have been all the rage recently, and we don’t see them going away anytime soon! Luckily, The Woodlberry Press has some of the prettiest floral-adorned invites we’ve ever seen. 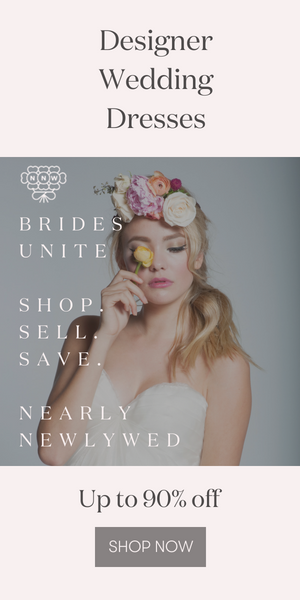 No matter your favorite blooms or wedding color palette, shop owner Haleigh Woolsey has something to fit your unique wedding style. See more from The Woodlberry Press! Set the tone for your classic celebration with letterpress stationery by Dinglewood Design. Clean lines and beautiful typeface are hand-printed using a 120-year-old platen press in Columbus, Georgia. Choose from a variety of styles including Art Deco lettering, romantic calligraphy, and vintage typography and impress your guests with Dinglewood Design‘s attention to craftsmanship! See more from Dinglewood Design! Couples are looking to personalize every inch of their wedding day, and US-based illustrator Kathryn Selbert wants to ensure that personalization starts from the very first invite. Kathryn creates custom illustrations that not only capture your likeness, but the something special that makes you you. You may even want to frame your own wedding invite above the mantle after seeing your illustrated portrait by Kathryn Selbert. See more from Kathryn Selbert! While California-based La Bohemme Paper Co carries a wide selection of gorgeous stationery, we especially love their take on modern designs. La Bohemme most notably combines romantic designs like florals, agate, and greenery with classic typefaces and clean lines in gold foil. Each design is as striking as they are unique! See more from La Bohemme Paper Co! If you have your sights set on beautiful watercolor invitations for your big day, look no further than Georgia-based Paper Garden! This stationery shop carries cohesive collections of one-of-a-kind watercolor designs in stunning colors, timeless typeface selection, and floral envelope liners that wow from the first open. See more from Paper Garden! Based in Liverpool, Vanilla Retro Stationery designs unique wedding invitation suites with botanical influences and vintage flavor. From the delicate coloring to the thoughtful packaging, Vanilla Retro Stationery provides the full experience for you and your guests. See more from Vanilla Retro Stationery! Love these wedding invitation suites, but aren’t sure which style fits your day? Take our quiz to find out which wedding style best fits your personality! Thank you for these amazing examples for the wedding invitations!